Special read: Vibratory finishing to improve your experience. Impeccable processes, maximum efficiency – Wheelabrator Vibro is helping customers to improve results and slash costs across applications that range from F1 gearboxes to prosthetic joints. In this interview, technical director Colin Spellacy shares insights on developing finishing applications for cutting-edge processes such as 3D printing. Clients approach Wheelabrator Vibro when they need a new finishing process developing, want to improve existing results, or are simply looking to try a new supplier to see what can be achieved. With their reputation for expert process design, it’s no surprise that technical development and painstaking trials underpin everything at Wheelabrator Vibro where the philosophy is “just test it”. In line with this, the company’s R&D facility in Birmingham, UK now features 15 different vibratory machines and is officially a Norican Group Centre for Product Innovation (CPI). With so many innovative applications for vibratory finishing appearing in what is a period of rapid development at the division, we spoke to Wheelabrator Vibro’s technical director Colin Spellacy about fine-tuning processes, cutting-edge applications and the company’s approach to designing the very best solution for customers. Colin, are Wheelabrator Vibro clients clustered in any particular sectors? Wheelabrator Vibro is involved in vibratory mass finishing in almost every sector and for innumerable types of applications, from a single prototype to thousands of mass produced components. Automotive, medical, general and precision engineering, you name it, in fact, it’s harder to think of a sector where our products aren’t used. I would say 3D printing or, more correctly, Additive Manufacturing is where we’re seeing the most growth. Which kind of components are suitable for a vibratory process? Where are the limits? Vibratory machines are about improving the whole surface. They are perfect if you want to descale, deburr, edge break and clean. While not suited for fragile parts, they are ideal for the finishing of robust items such as metal pressings, castings, precision CNC machined components, extruded components and even some rubber and plastic materials. If you want to finish just one area or are removing large amounts of thick flashing, you’re effectively trying to correct a mistake with the manufacturing process so vibratory finishing isn’t really appropriate. In cases such these we can work with the manufacturer to understand the limitations which can result in using one of our other Norican Group technologies. Could you tell us more about 3D Printing? 3D Printing (3DP) is being used more and more and, though prototyping is still the most common application, it’s far from the only one. You can print so many different kinds of materials now: nylons, resins, metal powders, ceramics, even cement. Though the quality is getting better every day, most 3DP parts still need some form of surface treatment. Like many other sectors, 3DP customers are finding that hand finishing is inefficient. If you have experienced technical staff, menial tasks are the last thing you want valuable people doing. Where staff are not trained in finishing, they can also often make mistakes that scrap the whole part. One client was spending anything from two hours to a full day to surface improve a single 3DP component about the size of a fist. They would start with a knife, then move onto different grades of wet and dry paper. It’s much more efficient to just put it in our machine, walk away and do something productive, and then come back once the process is finished. What other options does vibratory finishing give you in 3DP? Achieving a super fine surface finish can be possible through printing alone, however, taking that route can require many hours – or even days – to produce a single part. The more detailed it is, the more time it takes to print. One of our clients could spend nine days printing a single item with a fine nozzle. The alternative we gave them is to spend six hours printing with a larger nozzle to help improve productivity and then put it in one of our machines for a few hours to bring it back to the required surface quality thus saving time and cost to achieve the same finished results. Which sectors are using Vibratory Finishing with 3DP? Some important fields for us are dentistry, automotive race engineering, and medical implants. 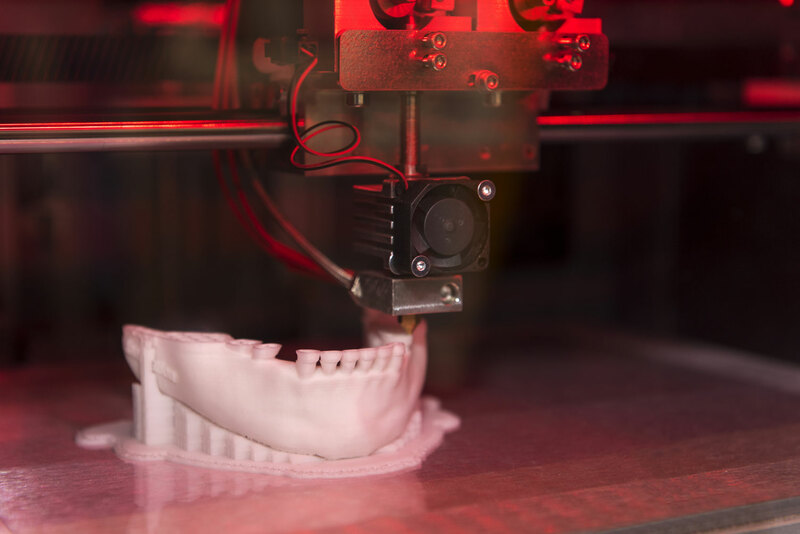 For dentures, there’s been a big move away from moulding to 3DP. The parts are usually small – teeth – so desktop finishing machines are perfect. In Formula One, new air intakes and other altered interior and exterior parts need to be ready quickly for wind tunnel testing. Printing might take five hours, then a few hours in the finishing machine and, there you go, ready for testing the next or even the same day. Prosthetics is another growing area. That can involve finishing components for traditional leg and arm braces or the more complex biomechatronic prosthetics you see now. 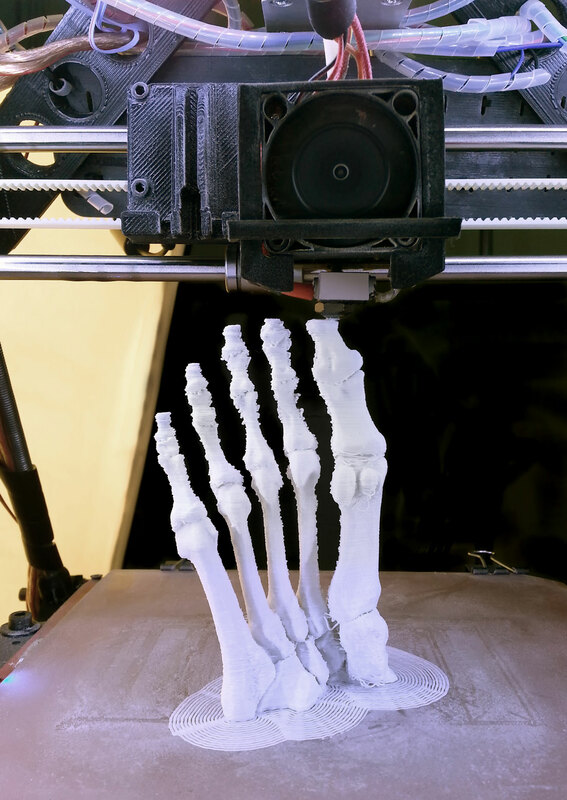 There, the internal components are covered by a 3DP “skin” which is formed as a mirror image of the patient’s good arm, leg or other body part. Prosthetic ears and noses are 3D printed too and can then be finished off in our machines. Where do you start when developing a process for a 3DP component? It’s very much dependent on the material that it’s made of and the level of detail that has to be retained. All of the nylons and many other types of plastic 3DP components work very well with a similar kind of vibratory finishing media such as fine grinding plastic media while metals will need a completely different one such as specially designed porcelain or high density ceramic media for polishing. We’ll typically ask for a representative batch of customer samples, so we can try different approaches. Sometimes components may fail during the process or it simply doesn’t work as hoped. But that’s all part of the development cycle and our selection criteria when choosing the correct process materials and equipment. Our expertise comes in knowing which, out of the many different media options, to choose. It could be stone chips, walnut shells, ceramics, plastics, porcelains – there’s an incredibly wide variety with different shapes, sizes and grades. We’ve got numerous different permutations. There are also the compounds, more than 20 of them, all with different compositions: abrasives, brighteners, lubricating agents, cushioning materials and cleaning agents. One might give an appealing bright and shiny finish for non-ferrous or plastic work, or contain a degreaser and inhibitor so steel parts don’t go rusty. There are chemical options too, like isotropic processes, there are dry processes that can be very economical, and you can have multi-stage processes. You might finish a stainless steel component with a ceramic for a couple of hours, then add a second step with porcelain media to give a more polished finish. What role does experience play in testing? Sometimes you have to break the rules to see what will happen. The book might tell you to use a coarse ceramic, but I know that isn’t always the right solution. You might find a resin or a porcelain media which will do the same job in a different way, perhaps by default resulting in improving expectancies of finish and wear rates. Customers want our machines to provide a quick, easy and low cost route, so the goal is usually to keep it as simple as possible. They don’t want to change the media four times, they’d rather have one good generic media which does the whole job well at low cost. Once we’ve proved the process, we’ll give the customer a range of media choices and specify the appropriate machine. We might think one finish is best, but the customer might not necessarily agree. In some high-end manufacturing sectors, clients want a component’s appearance to stay consistent and will often reject one that looks different, even if it’s closer to their specification, so we always ensure consistency of finish is maintained by offering our regular equipment and process health checks. What other kinds of development work have you been leading recently? 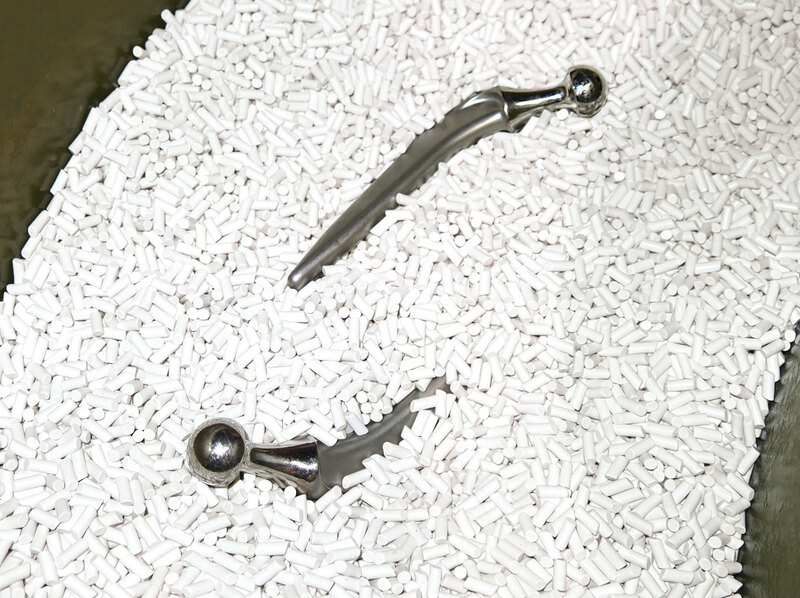 Superfinishing applications are cropping up frequently in motorsport and medical at the moment. It’s far from a new technique, but it’s an excellent way to get an extremely smooth surface, around 0.03-0.04ra (surface roughness), on steels and other hard metals. For a replacement implant such as a hip, knee or bone plates, the complete component must be free from any sharp burrs and ultra-smooth with a uniform finish after machining, so we are continuing our development of automated finishing processes to reduce or even eliminate manual finishing. In F1, superfinishing gearboxes is standard practice for less friction and more power. If it’s worth a few tenths of a second per lap, that’s a huge gain. 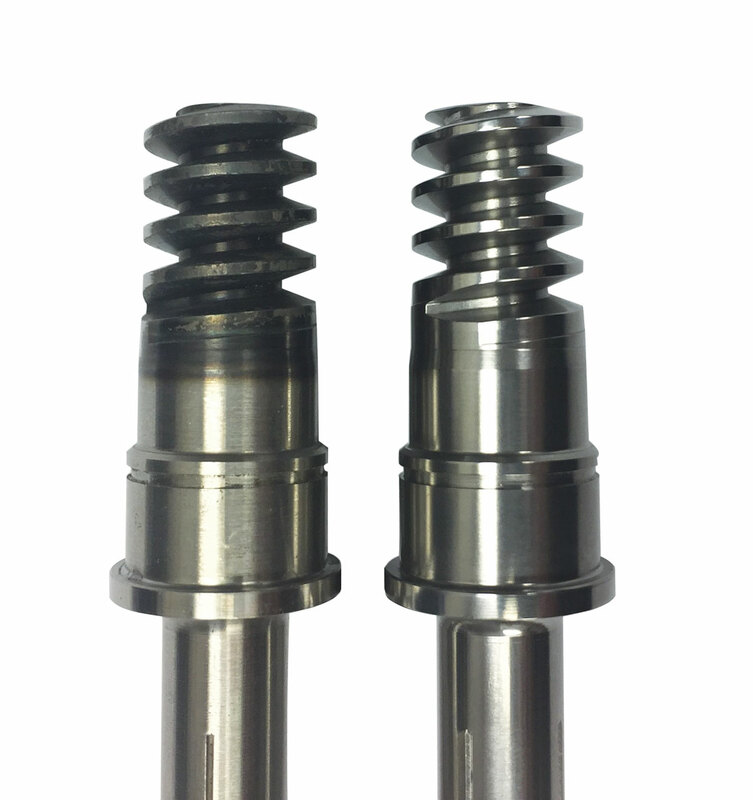 It also helps highly stressed components like crankshafts last a lot longer. We’ve seen teams that would replace gearboxes after one or two races. Superfinishing reduces the wear so much that the same gearbox can last a whole season. What sort of process options are there for superfinishing? 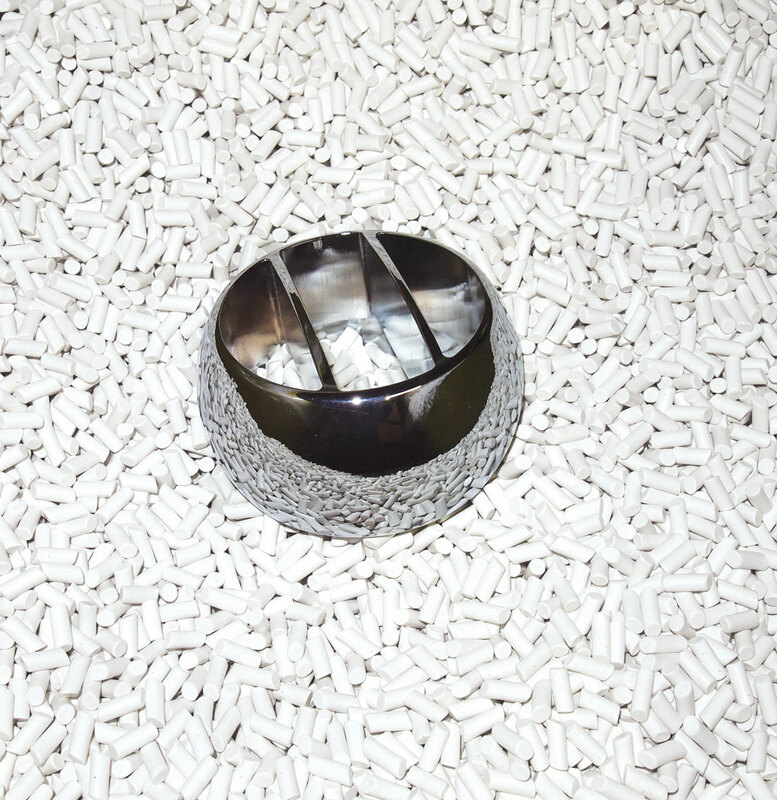 Typically, you vibro finish parts for a long time, between 6 and 8 hours, with a high density or porcelain media and fine polishing pastes and or powders. That’s usually the best overall solution for quality, time and cost, though there are also isotropic processes with an acidic compound and grinding media mix. It removes the inherent peaks within the material by oxidizing the surface of the metal to make it smoother but the effect can sometimes be uneven. Again, testing is how we find out what works best. Wheelabrator Vibro has often said that testing is how it proves to customers that it’s worth considering switching supplier. What improvements have you been able to show? For existing customer applications, we have been able to reduce cycle times by up to 30% on average, which can have a huge impact on the economics of production, and we can reduce media costs too. But we’ve also had many cases where speed and quality improvements have been far, far greater. Unfortunately, we’re bound by NDAs in many of the most interesting cases. What would customers with a challenging finishing application get out of a visit to the Birmingham CPI? We’d invite anyone interested in mass finishing to come and see us here at the CPI, or just pick up the phone to see whether we can help. Visiting the CPI is when customers realise how well these machines work and how little maintenance they require. They can bring their samples, work with us on the testing and tell us when the component is exactly as they want it. It is this level of customer input that helps us meet the client’s expectations as they can see the results happening right in front of them and understand how powerful and effective vibratory finishing really is.